Sustainable design is at the heart of Marina Bay Sands Singapore’s most recent renovation of RISE Restaurant, encapsulating the resort's aspirations to intelligently design sustainability into spaces and elevate the dining experience. During planning and renovation, the resort recycled more than 50% of materials and carefully selected restaurant features that would reduce their environmental footprint. From flooring made of 100% rapidly renewable bamboo, to water-conserving taps and energy-efficient oven hoods in resort kitchens, RISE’s dining environment is sustainable from the inside out. Just outside the restaurant, the resort transformed an unused patio into an herb garden where chefs can select flavorsome ingredients like cranberry hibiscus or rosemary for creative dishes, and harvest fresh flowers for restaurant centerpieces. Another garden was added at the very top of the building in the SkyPark, giving chefs immediate access to fresh ingredients. 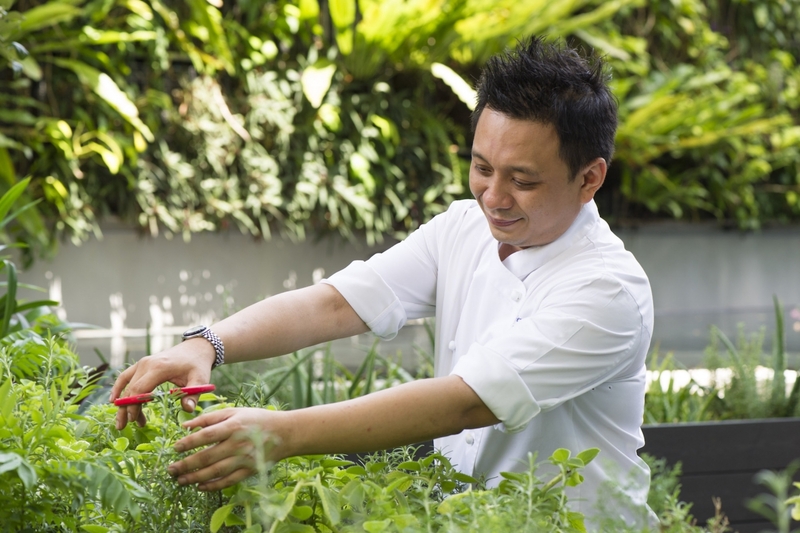 Through a partnership with Edible Garden City, a champion in the "grow-your-own-food" movement and eco-conscious enterprise, Marina Bay Sands was able to bring these gardens to life. The garden is also used as an education and engagement tool. On-site urban farmers enjoy educating resort chefs, international travelers, locals, children, and all others who visit, on botany and sustainable farming. To learn more about additional sustainable food initiatives Las Vegas Sands supports through its Sands ECO360 sustainability program, read our 2017 Environmental Progress report.